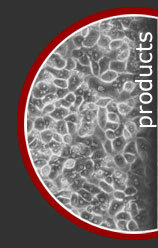 All ZenBio media are performance tested for sterility and functionality in our cells. These media formulations are the results of years of experience in providing nutrients for optimal cell culture growth in research and manufacturing. Our goal is to provide customers with consistent high quality media at the best prices, allowing researchers the freedom and convenience to optimize their own systems, while removing one more variable from their research efforts. In order to maintain consistent quality control all media are manufactured under strict compliance to written operating procedures. This provides the same quality product and reliability from lot to lot. If you have a special need usually we can accommodate your request with a very quick response time. Please do not hesitate to inquire. ZenBio epidermal keratinocytes are available from adult and neonatal donor tissue and are provided at the earliest passage without the use of a murine feeder layer. Keratinocytes are available from donors of varying ages, genders, and diabetes status. Dermal Fibroblast Basal Medium: Basal medium contains essential requirements for dermal fibroblasts. It can be supplemented with factors for specific research purposes. The medium is available in 500ml bottles and is ready-to-use upon arrival.